The battle is on. 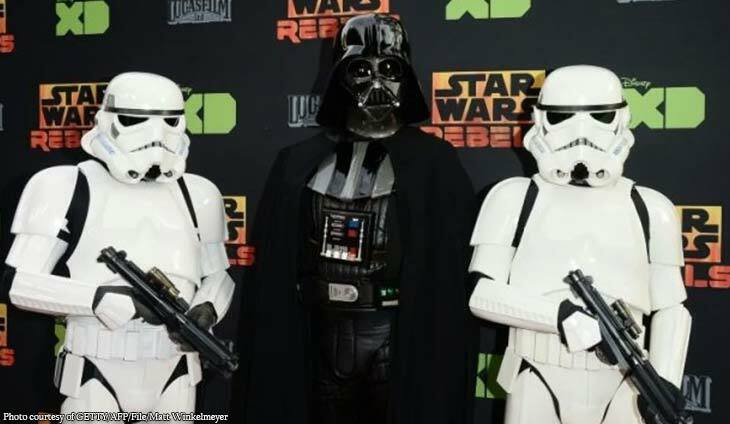 Walt Disney Co. is bringing its biggest weapons to a new streaming service, including “Star Wars” and Marvel superheroes, in what is expected to be bruising war with Netflix and others for television dominance. The media-entertainment colossus announced its Disney+ streaming service would launch in November in the United States and gradually expand internationally. The new service’s subscriptions are due to start at $6.99 per month — less than streaming leader Netflix’s most basic $8.99 plan. Disney+ will be packed with blockbuster movies and TV shows from the Disney library, including its recently acquired assets from 21st Century Fox. That includes shows and films from Pixar animation studios, the Marvel franchise of superheroes like “Spider Man” and “Captain America,” National Geographic documentaries and of course the “Star Wars” series. Analysts says Disney’s announcement shows it is giving no quarter as it battles Netflix, Amazon Prime Video, Hulu and an upcoming service from Apple. “The biggest surprise was the price — $6.99 per month, which was much lower than many people were expecting,” said Alan Wolk, co-founder of the TVREV consulting firm. Wolk said the content will mean the new service won’t compete head-on with Hulu, which is 60 percent owned by Disney. The move “allows them to position Hulu as their edgier, adult offering,” he said. Disney has predicted it will sign up 60 million to 90 million users over the next five years. Some analysts have said they expect Disney’s new service to grow quickly and eventually top Netflix’s 140 million worldwide subscribers. Analyst Neil Macker at Morningstar said Disney “came out swinging at its investor day with an aggressive price point” for its streaming service. “We were pleasantly surprised by the content levels” announced at Thursday’s investor event, Macker said. Amobi said Disney also has the potential to “bundle” its new product with Hulu and its recently launched ESPN+ sports streaming service to give consumers a wider choice of content. But some analysts argue that rivals will not take the competition sitting down and that nimbler internet firms may prevail. Richard Greenfield at BTIG Research noted that Disney’s venture may be hurt by long theatrical “window” that keeps films out of streaming for months, and from longstanding deals giving rivals some of its content. John Meyer, analyst at the investment firm Transpire Ventures, said Netflix still has the upper hand in the market. Meyer said Disney may “carve out a small niche” among families and young viewers but doesn’t pose a serious threat to Netflix. “Netflix now knows what people want more than anybody,” Meyer said. Laura Martin, analyst at Needham & Co., disagrees, saying Disney with its well-known brands and franchises will eventually overwhelm Netflix. “We believe Netflix cannot win” such a war because of Disney’s cost advantage from owning a vast amount of content. “Disney products reach 100 million households per year, which lowers Disney’s customer acquisition costs,” Martin said in a note to clients. The world-renowned designer has created furniture pieces inspired by Star Wars characters.